May 9, 2014 Conversation Starters: Marian Rivera Says She's Open To Cosmetic Surgery + More! 2 Here’s something to satisfy your daily dose of kilig: super cute photos of Jericho Rosales and Kim Jones from their engagement shoot! We love how in love they are. For more photos, check out brideandbreakfast.ph. 4 It’s that time of the year again to Make Your Own Havaianas! 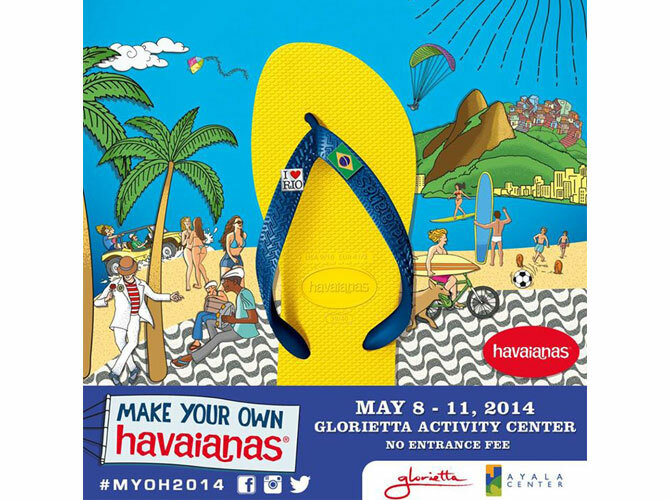 Drop by the Glorietta Activity Center until May 11, 2014 to create your very own customized flip-flops. The possibilities are endless! Don’t forget to snap a photo of your new pair and use the hashtag #MYOH2014 when you post on social media. See you there, CGs! 5 Too cute! Watch these super talented kids (they're only 6 and 7 years old!) heat up the dance floor with their flawless Salsa dancing skills.